When you think of working out, you probably think of hitting the gym. But what about exercising outdoors? Is there a benefit to getting outside versus the climate-controlled haven of a gym? Knowing the negative and positive aspects of working out outdoors and indoors will help you make the choice that is best for you and your fitness needs. Your body produces vitamin D when exposed to the sun. The National Institute of Health lists a slew of benefits from vitamin D intake, but most importantly, vitamin D promotes calcium absorption and keeps your bones healthy. This is especially important for women, who are at a higher risk of osteoporosis. If you want your workout to count, you have to make sure your body has the vitamins it needs to be at its best—exercising outside will keep you active and keep your bones strong. Not only does the sun help your body produce key vitamins, but it’s also a mood booster. According to one study of over 800 participants, people who exercise outside reported increases in energy, decreases in anger, and an overall feeling of revitalization. Compared with people who exercised indoors, those who exercised outdoors were more likely to exercise again—so if you’re not too keen on the idea of working out, going outside could be just the motivator you need. It can be incredibly boring to run on a treadmill, staring at nothing. Exercising outdoors is a fun way to change up the scenery. You can run through your favorite park or through the streets of downtown. 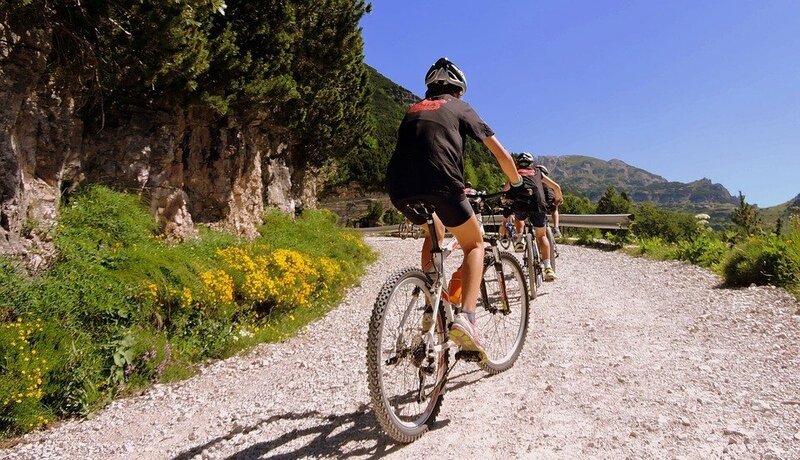 In fact, The New York Times reported that running or cycling outside actually resulted in a better workout than simply running on a treadmill or riding a stationary bike. There’s something more rewarding about actually moving from one place to another as opposed to running in place. If the thought of stationary exercise bores you to tears, try getting up and getting outside to bring some fun back into your workout. If you’re considering going outside to exercise, you have to consider the weather. If you live in an area that’s mostly temperate, this may not be much of an issue. However, for those of you who live in places with more extreme weather, you have to take necessary precautions before you venture outside. And no matter where you live, you’ll encounter wet weather at some point, which comes with its own set of concerns. Rain, sleet, snow, or hail—any type of precipitation makes for slippery conditions outside, especially when ice forms on the sidewalk. Choose footwear with added traction to help prevent falls, or pick a stationary type of exercise to minimize the risk of slipping. In winter weather, always consider temperature, precipitation, and wind chill. Wear clothes that will keep you adequately warm, including gloves and hats. But don’t dress too warmly—while you’re exercising, your body generates heat. Dress in layers that you can remove as you start to get warm. As your workout winds down and your body cools off, you can then bundle back up. Try to find clothes in the wind-resistant material to help cancel out the wind chill. Before you go out in the cold, make sure you know the signs of hypothermia (extremely low body temperature) and frostbite. The Mayo Clinic lists the warning signs of hypothermia as extreme shivering, loss of coordination, slurring of speech, and fatigue. The signs of frostbite include localized numbness, loss of sensation, or tingling sensations. It commonly occurs in extremities, like your hands and feet. If hypothermia is suspected, you should seek immediate medical attention. For frostbite, slowly warm the affected area, seeking medical attention only if the numbness or tingling doesn’t abate. Hot weather and exercising both increases your core body temperature, so your body has to work even harder to keep you cool. Plus, when it’s humid outside, the sweat on your body doesn’t evaporate as quickly, which leads to higher body temperatures. If your body is under too much stress to adjust to the heat, it can lead to serious consequences. As the Mayo Clinic points out, there are several heat-related illnesses to be aware of if you’re going to exercise in hot weather. Heat exhaustion occurs when your body temperature rises to 104°F. Symptoms include nausea, vomiting, headache, weakness, and clammy skin. Heat exhaustion can worsen into heat stroke, which can be life-threatening. 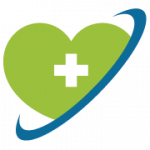 Heat stroke occurs if your body temperature exceeds and 104°F. Symptoms include irritability, confusion, irregular heart rhythm, dizziness, nausea, vision problems, and fatigue. If you suspect heat stroke, seek immediate medical attention, as it can result in brain damage, organ failure, and death. If you’re going to work out in hot weather, make sure you stay adequately hydrated. If you feel yourself getting light-headed or nauseous, stop exercising and cool down. Workout out indoors is convenient if you rely on fitness equipment for your workout. You’re just not going to find an elliptical out in the wild, and lugging your free weights outside seems like a lot of work. Working out indoors means you have a dedicated space for exercising, and you can keep all of your equipment in a centralized location. Or in the case of the gym, you can simply waltz in and find every type of exercise equipment at your disposal. 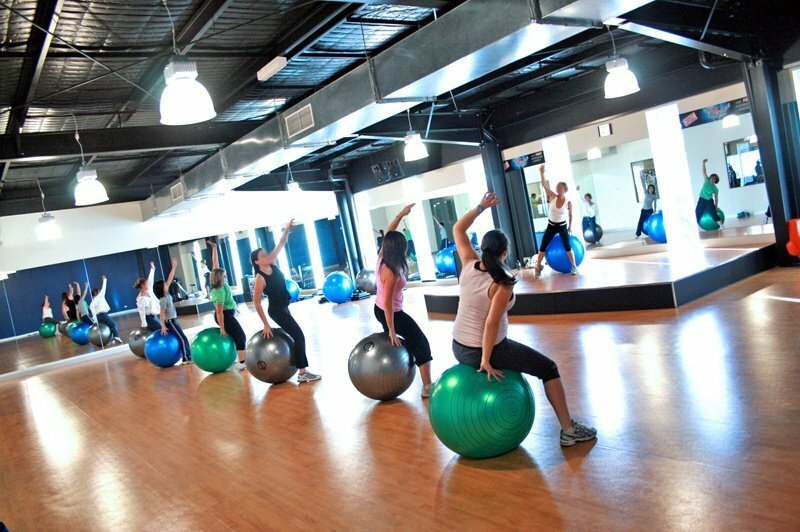 Group fitness classes allow you to engage in the new type of workouts that you may not have learned on your own. Since these classes are run by certified professionals, you have the comfort of knowing that they can help correct your form. Exercising with improper form can lead to serious injury, so having a trainer around to help you is a huge plus. Group classes also keep you accountable. When you work out alone, you can skip all those difficult moves like Burpees. In a group setting, you have your peers and your trainer watching you, so you’re less likely to get lazy. If you’re a gym member, check out what kind of amenities they offer. Many gyms have saunas, steam rooms, hot tubs, and even on-staff masseuses. These amenities can be a great way to bring a little luxury into your life. Working out can feel less difficult if you can reward yourself with a relaxing soak in a hot tub afterward! For those of you with children, finding a gym with childcare facilities means you can work out while knowing your kids are well cared for. If you never know what to eat before or after a workout, a gym with a snack or smoothie bar can be a great resource. These snack bars offer high-protein foods and other nutrition-packed options to help your body make the most of your workout. Working out indoors negates all the effects of weather—you don’t have to worry about getting too cold or too hot, especially if you’re in an air-conditioned space. This also means you can spend less time worrying about what to wear and more time focused on your workout. If you live in an area with high air pollution, staying indoors can protect your lungs from the harmful air. According to the National Resources Defense Council, these negative effects can include eye and throat irritation; lung damage; and exacerbation of existing respiratory conditions. For people who suffer from allergies, indoor workouts keep you away from any offending allergens like pollen. Working with a personal trainer is a surefire way to get a workout that is perfectly tailored to your fitness needs and goals. As the Livestrong Foundation notes, there is no better way to make the most of your workout. You can work with your personal trainer to determine what you want to get out of your workouts, whether it’s losing weight, building muscle, or just maintaining your health. They can then craft workouts that will effectively help you achieve those goals. 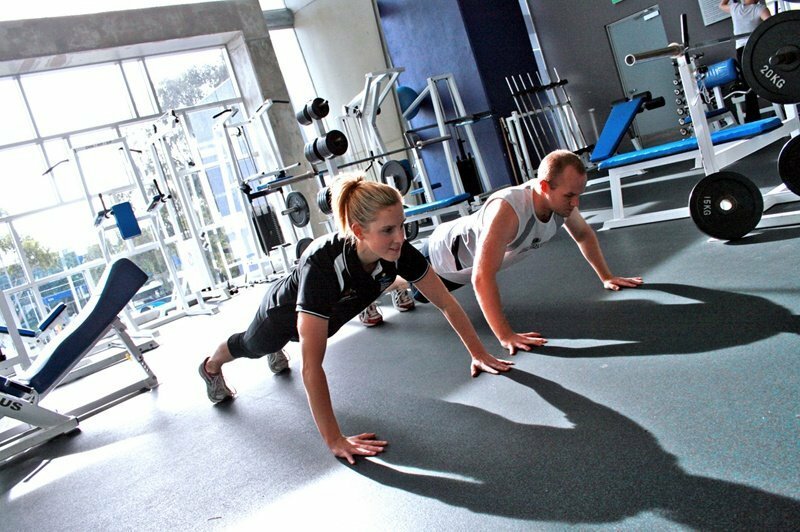 Personal training is an excellent way to learn various exercises. Since personal trainers are certified professionals, they’re able to show you the correct form for whatever you’re doing. If you’re new to working out and feel unsure about what you’re doing, spending time working with a personal trainer can give you the skills you need to work out on your own later. Having a personal trainer also adds accountability to working out. You can’t just skip the gym if you have an actual appointment to go to! And while you’re working out, your personal trainer will make sure you really do every last rep—no more slowing down because you’re tired. Whereas the great outdoors is free to all, most gyms charge a membership fee that varies according to the amenities you want to pay for. Upon joining, a lot of gyms will hit you with a registration fee in addition to their monthly membership fee. And sure, those fancy amenities are great in theory, but they come at a price. Basic gym memberships, while cheaper, usually don’t cover things like group fitness or personal trainers. If you’re strapped for cash, paying a monthly fee for the gym may be out of the question. If you’re a student, see if your local gym offers student discounts. If you’re enrolled in college, see if your institution has its own exercise facilities—usually, they’re available to students free of charge, with fitness classes for a nominal fee. For those of you who are employed, check to see if your employer has any gym partnerships. You may be able to get a discounted rate. If you do your indoor exercising at a gym or other fitness facility, it can be really tough to motivate yourself to get up and go there. For those of you who live far away from a gym, the idea of driving fifteen minutes to get to the gym can be a psychological hurdle that is tough to overcome. For people who don’t have a car, getting yourself to the gym can be difficult. If you live in an urban area, you can check out public transportation, but if not, you may be out of luck. The gym, for all its great services, can be an intimidating place. In fact, there’s even a word for this specific fear of the gym: gymtimidation. Gymtimidation results from a feeling of self-consciousness that only gets heightened from seeing a bunch of really muscular guys or skinny women exercising around you. If you don’t feel comfortable with your weight or physique, your perceived imperfections can be heightened around all these “perfect” people. It may seem silly to some, but poor body image is no joke. According to a study published in Public Health, body image is a leading reason why already overweight women avoid the gym. For people who already struggle with body image, comparing you to the other people at the gym can leave you feeling even worse about yourself. If you’re susceptible to gymtimidation, try working out in a less public place until you feel more comfortable. Ultimately, where you work out is totally up to you. Some people might prefer outdoors to indoors or vice versa, but you should feel free to mix it up depending on your needs. Now that you can carefully weigh the pros and cons, you’ll have a much easier time deciding where to exercise. No matter where you decide to work out, what’s important is that you’re staying active. Go for a run in the park or take a fitness class at your local gym—just get out there and work out! I love working out in both spaces.